Sri Swami Dayananda Saraswati is a distinguished, traditional teacher of Vedanta. Under his guidance, numerous centres for Vedic teaching have been founded around the World. The two main centres in India are the Arsha Vidya Ashram in Rishikesh and the Arsha Vidya Gurukulam in Coimbatore, Tamil Nadu. In the U.S., the main centre is the Arsha Vidya Gurukulam at Saylorsburg, Pennsylvania. His depth of understanding and nuanced appreciation of the western culture make him that rare teacher, who can communicate the vision of non-duality to modern listeners. He is able to make one see, with immediacy, the truth of oneself as the whole. Guru dispels ignorance and imparts knowledge. Here is a golden chance to clear your doubts in Vedas and Vedanta. Swami Dayananda Saraswati, an outstanding teacher of Vedanta, will answer your queries on social, philosophical and psychological issues. Feel free to write to us. Please do not send any other personal or marital problem to Swamiji. 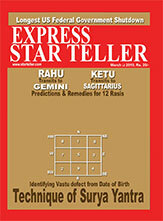 (Our magazine carries different columns handled by expert astrologers for personal queries). Also do not forward any money MO etc. to forward to Swamiji. 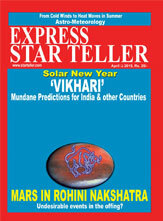 Your queries will be answered only through the magazine in due course on "first come first served" basis. Subsribers are given priority. Guru dispels ignorance and imparts knowledge. Here is a golden chance to clear your doubts in Vedas and Vedanta. Swami Dayananda Saraswati, an outstanding teacher of Vedanta, will answer your queries on social, philosophical and psychological issues. In case you have any questions for Swamiji, please click here. SWAMIJI WILL ANSWER ONLY THOSE QUERIES THAT ARE PERTAINING TO SOCIAL, PHILOSOPHICAL AND PSYCHOLOGICAL ISSUES. HIS HOLINESS DOES NOT ANSWER TO ANY PERSONAL QUERY.